Heavy oil trading at premium or tight discount to light oil now. Venezuela and Mexico are the main supply problems. Canadian heavy oil stocks are Free Cash Flowing Machines at today’s heavy oil prices. I often say there’s ALWAYS a bull market somewhere in energy, and right now it is in heavy oil. Heavy oil should and normally does trade at a discount to light oil because it is more expensive to refine. But now that gap is closing, and now heavy oil actually trades at a premium in many places around the world. Energy investors should take note! The Mars benchmark for Gulf of Mexico produced medium sour is trading at a premium to Light Louisiana Sweet. 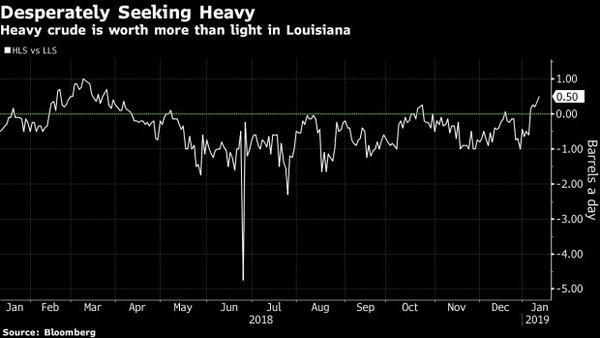 And heavy Louisiana Sweet, which normally trades at a discount to Light Louisiana Sweet has also been trading at a premium for much of 2019. 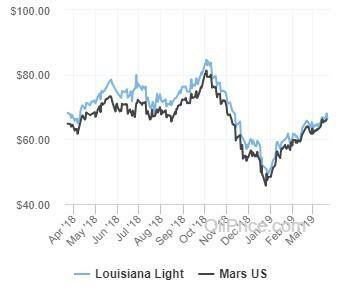 I showed you that the heavier Mars Gulf of Mexico crude was trading at a premium to Light Louisiana Sweet. Mars is also trading at a premium to WTI. What should be very concerning to shale producers is that a similar effect is also already being seen globally, as several medium to heavy sour crude grades produced in the Middle East are now trading at a premium to Brent. Saudi Arabia set the official selling price for its Arab Heavy grade for February to the U.S. at a US$0.50 premium to the Argus Sour Crude Index, the first premium in at least 10 years. 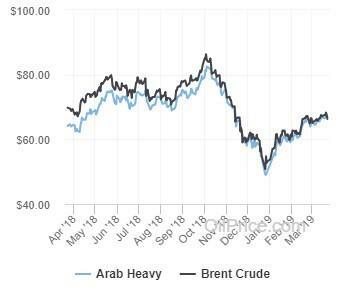 Arab Heavy is also selling at a premium to Brent and the heavier Russian Ural crude is also at multi-year highs relative to lighter blends. 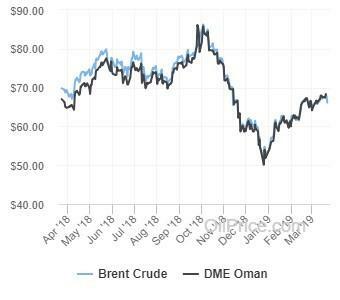 Another Middle East grade Oman – which has a higher sulfur content than European oil – also rose above the lighter London benchmark and has traded at a premium. Bloomberg recently reported that in Asia the state-run energy giant PetroChina had been selling Venezuelan Merey oil in February at a premium of about $5 a barrel to WTI. Here in Canada, heavy-crude prices have surged since Alberta Premier Rachel Notley mandated a production curtailment of 325,000 barrels a day – though it’s not above light oil prices yet. 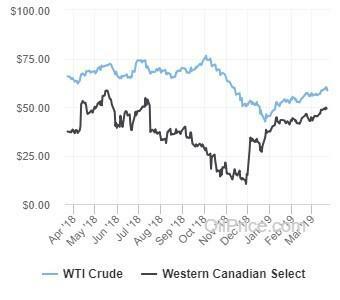 The Canadian heavy crude price known as Western Canadian Select (WCS) is now trading at a $9 discount to WTI and has been as low as $7 in recent weeks. That is the lowest discount to WTI in a decade and not large enough to cover the cost to get WCS to the U.S. Gulf Coast refiners. At the Gulf Coast WCS is actually being priced above the lighter, superior quality WTI. Refiners who aren’t able to process WTI light oil need WCS so they have to pay more to get it with supply constrained. The available supply of heavy crude has plummeted of late. Venezuela is falling apart and so is the country’s oil production (which is all heavy oil). 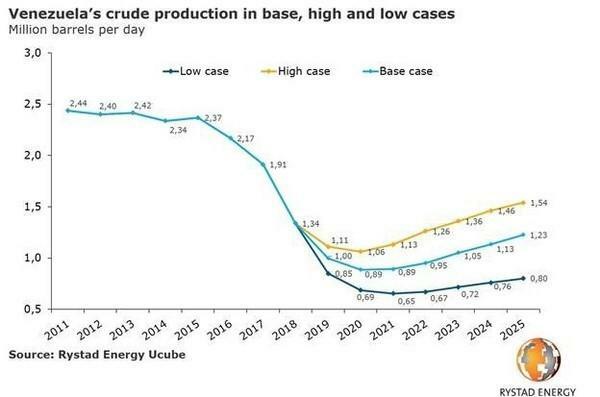 Production is down 1 million barrels per day from 2015’s level of 2.4 million barrels per day with the rate of decrease accelerating in 2018. Recent sanctions by President Trump on U.S. entities purchasing Venezuelan crude are now another supply constraint on top of the production decline. In fact, just this past week, Venezuelan imports into the US were ZERO for the first time in a very long time. There is no magic switch to flip to bring this production back any time soon. US President Trump’s decision to re-impose sanctions on Iran has also shrunk Middle East supplies, most of which are of “medium-sour” quality which is heavier than light crudes. Plus Saudi Arabia throttling back production makes the supply situation even tighter. The Alberta Government mandated production cutbacks are contributing too. Why this matters… Gulf Coast refiners need heavy oil and not the oil produced from shale. That is why U.S. oil exports are surging; the US refiners fitted to handle light crude already have more than enough. 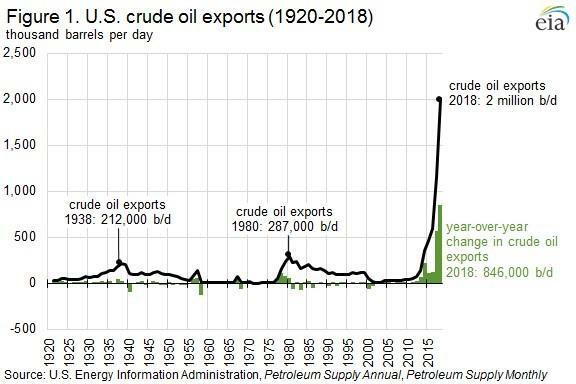 The U.S. has more light crude than it can handle. America is producing the wrong kind of oil right now. The Shale Boom is all about a very light sweet crude. Light oil produces gasoline really well, but not diesel, distillates and lower quality products that fuel the world outside of Western Europe and North America. It is heavy oil where all of the market fundamentals are coming together – for both supply and demand. So on the demand side, refiners along the Gulf Coast and in the Midwest invested billions of dollars in cokers and other heavy-oil processing units over the past three decades – in anticipation that supplies of light oil would become scarce while heavy crude from Canada’s oil sands, Venezuela and Mexico would grow. More than half of the world’s heavy crude is processed in the United States and with Trump sanction on Venezuelan oil, the scramble is on to get heavy oil feedstock. Is this issue short term, or long term? There is no question what is going to be happening in the shorter term. The scramble is on for heavy oil. There is no fix for Venezuela and the lack of pipelines means that there is no increase coming from Canada. The Saudis seem very intent on keeping production curtailed as well. Longer term demand for heavy oil is also bullish as emerging economies (where future oil demand growth will come from) are increasingly in need of diesel fuel for trucking and heavy machinery. Refiners in those countries have invested heavily to process heavy and not light oil. One complication to the longer term heavy crude bull story are the new International Maritime Organization (IMO) specifications for ocean-going ship fuel that will take effect next year. The rule cuts the allowed sulfur content of ship fuels, making most heavy oil grades useless as a fuel option for those vessels that don’t have scrubbers. This could be a disruptive event and I’ve seen estimates of demand for heavy oil falling by as much as 1.5 million barrels per day because of it. However, even with high heavy oil prices, the price spread between Low Sulfur Oil (LSO) and High Sulfur Oil (HSO) (which is heavy oil) says most ship owners will buy closed loop scrubbers and continue to buy HSO. What does this mean for heavy oil stocks? It means they are some of the fattest cash cows the energy market has seen in some years, yet valuations are still very cheap – often just over 3x cash flow. Better still, many heavy oil producers with low production declines (and for oilsands producers, NO production declines!!!) are generating HUGE free cash flow – The Holy Grail that still evades the shale industry. Understand from this these companies need to invest very little capital each year to maintain production, so if they aren’t chasing growth, they are free cash flow machines. As this heavy oil bull market continues throughout the year, look for the larger Canadian heavy oil stocks to be one of – if not the – best performing subsector in global energy. Instinctively, investors wouldn’t expect it to be this way. Heavy crude is an inferior product and more difficult to refine. And last year, the discount for Canadian heavy oil made headlines around the petro-world for all the wrong reasons. No new pipelines. Huge discounts – Canadian heavy oil traded under US$10/barrel at one point!!! That’s what most investors who only pay scant attention to oil think about when they hear the words heavy oil – high cost, low price, curtailing production… all negative. But the facts and the economics have changed for Canadian heavy oil stocks. Quickly.